Here are your featured authors for the 2018 Books In Bloom Festival. They are listed in alphabetical by first name. 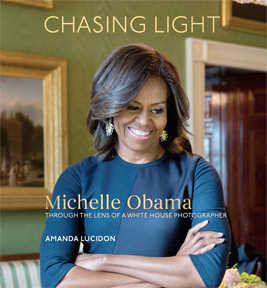 Amanda Lucidon served as an official White House photographer responsible for photographing First Lady Michelle Obama from 2013 to 2017. She is one of only a few female White House photographers in history and was the only woman photographer during her time in the Obama White House. 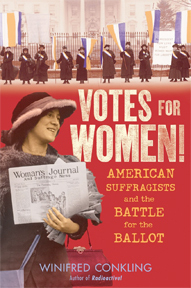 She is also an award-winning documentarian, filmmaker, and former freelance New York Times photographer. 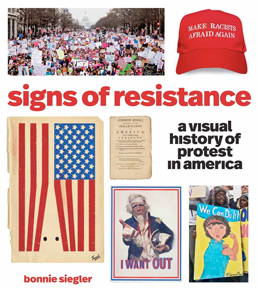 Amanda’s work has been honored by Pictures of the Year International, National Press Photographers Association Best of Photojournalism, and the White House News Photographers Association, among others. She is a photographer, filmmaker, author, and public speaker based in Washington, D.C. For more information, visit www.prhspeakers.com. Bonnie Siegler is the author of two books, Signs of Resistance and Dear Client. Voted one of the 50 most influential designers working today by Graphic Design USA, Siegler founded and runs the award-winning design studio Eight and a Half. She is best known for her design work for Saturday Night Live, the Criterion Collection, HBO, Late Night with Seth Meyers, StoryCorps, Participant Media, and Newsweek. Most recently, she was the creative director of the Trump parody memoir You Can’t Spell America Without Me by Alec Baldwin and Kurt Andersen and created the main title sequence for Will & Grace. She has taught at the graduate level for many years at the School of Visual Arts and Yale University, conducted workshops at the Maryland Institute College of Art and Rhode Island School of Design, and judged design competitions all over the place. She is married to experimental film maker Jeff Scher, and they have two wonderful children, Buster and Oscar. 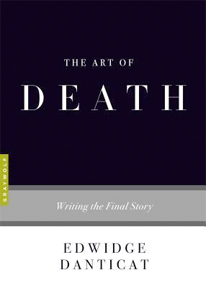 Edwidge Danticat is the author of numerous books, including Claire of the Sea Light, a New York Times notable book; Brother, I’m Dying, a National Book Critics Circle Award winner and National Book Award finalist; Breath, Eyes, Memory, an Oprah Book Club selection; Krik? Krak!, a National Book Award finalist; The Farming of Bones, an American Book Award winner; and The Dew Breaker, a PEN/Faulkner Award finalist and winner of the inaugural Story Prize. The recipient of a MacArthur Fellowship, she has been published in The New Yorker, The New York Times, and elsewhere. She lives in Miami. For more information, visit www.prhspeakers.com. 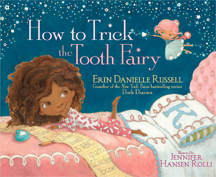 Elissa Brent Weissman is an award-winning author of novels for 8-to-12-year olds. She is best known for the popular Nerd Camp series, which won the Cybils Award for middle grade fiction and was named a best summer read for middle graders in The Washington Post. The Short Seller, about a seventh-grade stock-trading whiz, was a Girls’ Life must-read and featured on NPR’s “Here and Now.” Elissa also created and edited Our Story Begins: Your Favorite Authors and Illustrators Share Fun, Inspiring, and Occasionally Ridiculous Things They Wrote and Drew as Kids, a Junior Library Guild selection that was featured in Entertainment Weekly, the Los Angeles Times, and the Washington Post. Named one of CBS Baltimore’s Best Authors in Maryland, Elissa lives in Baltimore City, where she teaches creative writing to children, college students, and adults. Elliot Ackerman, author of the critically acclaimed novel Green on Blue, has covered the Syrian Civil War since 2013. His writings have appeared in The New Yorker, Esquire, The Atlantic, and The New York Times Magazine, among other publications, and his stories have been included in The Best American Short Stories. He is both a former White House Fellow and Marine, and served five tours of duty in Iraq and Afghanistan where he received the Silver Star, the Bronze Star for Valor, and the Purple Heart. 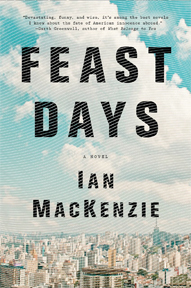 Ian Mackenzie is the author of the novel City of Strangers. His fiction has appeared in The Gettysburg Review, The Greensboro Review, and elsewhere. He was born and raised in Massachusetts, graduated from Harvard College, and has lived in New York City, Ethiopia, and Brazil. He currently lives in Washington, D.C., with his wife and daughter. 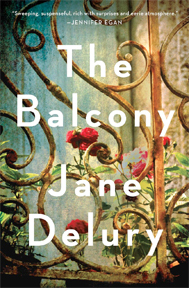 Jane Delury’s fiction has appeared in Glimmer Train, The Southern Review, The Yale Review, Five Points, Narrative, and other publications. She has received a PEN/O. Henry Prize, a Pushcart Special Mention, the F. Scott Fitzgerald Story Award, a VCC A fellowship, and grants from the Maryland State Arts Council. She holds a BA in English and French literature from UCSC, a maîtrise from the University of Grenoble, and an MA from the Writing Seminars. She is an associate professor of creative writing and English at the University of Baltimore. 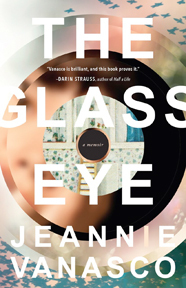 Jeannie Vanasco is the author of The Glass Eye: A Memoir. Featured by Poets & Writers as one of the five best literary nonfiction debuts of 2017, The Glass Eye was also selected as a Barnes & Noble Discover Great New Writers Pick, an Indies Introduce Pick, and an Indie Next Pick. 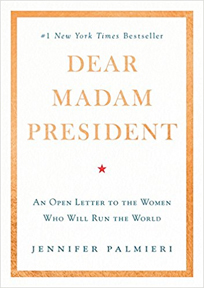 Her other nonfiction has appeared in the Believer, the New York Times, the Times Literary Supplement, Tin House, and on NewYorker.com. She lives in Baltimore and is an assistant professor of English at Towson University. She also teaches in the Master of Arts in Writing Program at Johns Hopkins University. Jennifer Palmieri was the Director of Communications for Hillary Clinton’s 2016 presidential campaign. Prior to that position, she served as the White House Communications Director for President Barack Obama. She has also been the National Press Secretary for the 2004 John Edwards presidential campaign and for the Democratic Party in 2002. She is currently President of the Center for American Progress Action Fund, and she frequently appears on television and radio outlets. Laura Melmed is the author of twenty fiction and nonfiction picture books for children, including the New York Times bestsellers, The Rainbabies and I Love You as Much. 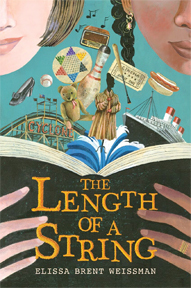 Her books have garnered many awards, including the ALA Notable Award; National Jewish Book Award; American Booksellers Association Pick of the Lists; Bologna International Book Fair Graphics Award: Best Book; CBC Notable Social Studies Trade Book; Parent’s Choice Award; Oppenheim Gold Award; Publisher’s Weekly Flying Start; Maryland Black-Eyed Susan Master List; Best Book Working Mother Magazine; Best Book, Child Magazine; and Best Book, Denver Post. She holds an M.Ed. in Early Childhood Education, and has been a kindergarten teacher. She is a past president of the Children’s Book Guild. 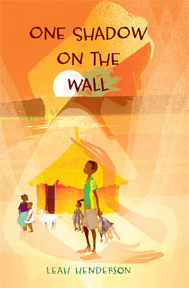 Katia D. Ulysse is a fiction writer, born in Haiti. Her short stories, essays, and Pushcart Prize–nominated poetry appear in numerous literary journals and anthologies, including: The Caribbean Writer, Smartish Pace, Phoebe, Meridians: feminism, race, transnationalism; Mozayik, The Butterfly’s Way: Voices from the Haitian Dyaspora in the United States, and Haiti Noir. She has taught in Baltimore public schools for thirteen years, and served as Goucher College’s Spring 2017 Kratz Writer in Residence. Drifting, a collection of short stories, drew high praise from literary critics. She is currently at work on another short story collection. 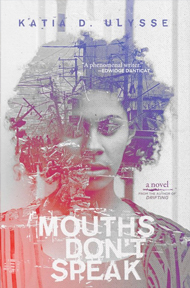 Mouths Don’t Speak is her latest novel. 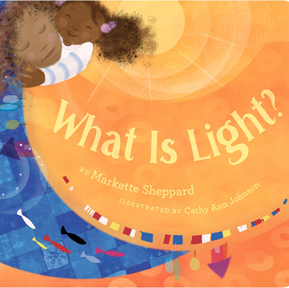 Markette Sheppard, a graduate of California State University, is a broadcast journalist and an award-winning talk show host in the nation’s capital. 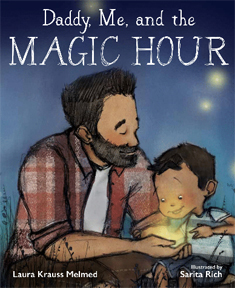 Her work has been featured on NBC’s Today Showand ABC’sLive! with Kelly; in Essence magazine; and on NPR. She lives in the heart of Washington, DC, with her husband and young son. 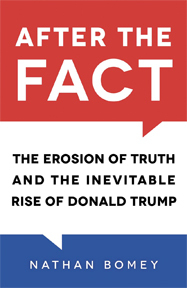 Nathan Bomey is the author of After the Fact: The Erosion of Truth and the Inevitable Rise of Donald Trump (2018) and Detroit Resurrected: To Bankruptcy and Back (2016). He is a business reporter at USA TODAY and a former reporter for the Detroit Free Press and several community publications in Michigan. 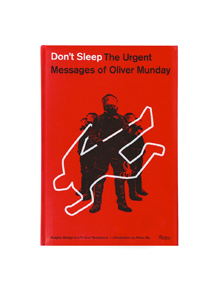 Oliver Munday — A graphic designer living and working in New York City. His work has been recognized by many of the major design publications including Communication Arts, TDC, Young Guns 7, AIGA 50/50. He was named one of PRINT magazine’s “20 under 30” in the new visual artists review. He was formerly an Art Director at Alfred A. Knopf and Farrar, Straus & Giroux, and has been running an independent design studio for the last decade. His monograph Don’t Sleep will be published by Rizzoli in April. Sujata Massey is the internationally-bestselling author of 13 novels set in India and Japan. 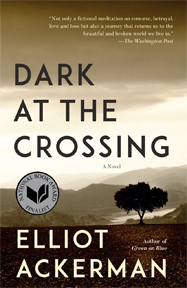 They have won the Agatha and Macavity awards and been nominated for the Edgar, Anthony and Mary Higgins Clark prizes. 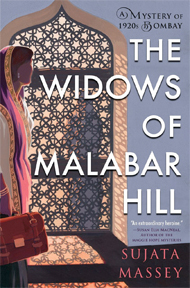 Her most recent novel is The Widows of Malabar Hill, a mystery set in 1921 Bombay featuring that city’ s first woman lawyer. Vikram Sunderam is the James Beard Award-winning chef at Rasika in Washington, DC. Working with Ashok Bajaj’s Knightsbridge Group, Sunderam opened Rasika in 2005. Previously Sunderam was executive chef for eight years at London’s Bombay Brasserie. 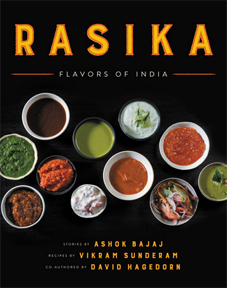 In 2015, Sunderam and Bajaj collaborated with Columnist David Hagedorn to create the now popular Indian cookbook titled RASIKA: Flavorful Recipes From A Groundbreaking Indian Restaurant. Using traditional techniques as jumping-off points, Rasika incorporates local, seasonal ingredients to reinterpret dishes from one of the world’s richest and most varied cuisines.